Last week the big news for tech and location enthusiasts of India was the launch of WoNoBo. 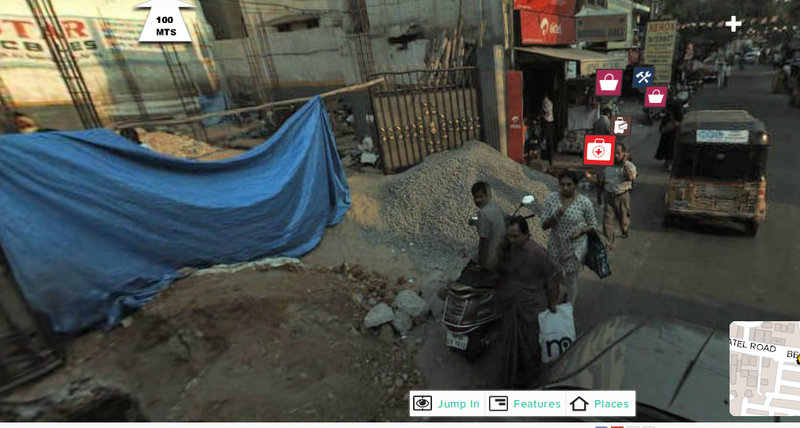 WoNoBo was quoted as an answer to Google's Street View in India. While many of us know that our regulators created all sorts of trouble for Google, WoNoBo did not have to go through all that. In fact WoNoBo's parent Genesys is a big name in Indian Geospatial domain and has the experience of working with Government agencies. This credibility would have certainly helped them in securing necessary permissions! "For street view, the government, including the defence ministry and the Survey of India, threw a lot of regulations at us. We painstakingly fulfilled their requirements , including not taking pictures in sensitive areas,"
Wonobo street view is presently available for 12 cities — Mumbai, Delhi, Bangalore, Chennai, Hyderabad, Ahmedabad, Surat, Jaipur, Coastal Goa, Kolkata, Agra and Pune. The remaining will be launched over the following weeks. Apart from self-navigation by keying in place names and moving around, WoNoBo boasts about guided 'Walking Tours', 'Stories' and 'Guides'. Walking tours - While walking tour has a short description of sites, I was expecting a video sort of experience which would actually create the feeling of walking along the road. 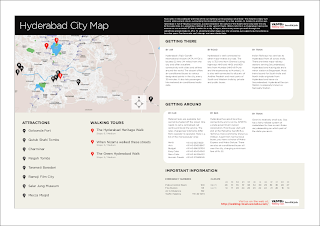 The city guide which is provided in the form of a single page PDF contains minimal information. I would expect such a document to have at least two pages - one with a detailed map and another one with short descriptions of prominent sites. Stories are by large incomplete (at least for Hyderabad) - one can say they are just like sample stories. Of course we can't expect them to launch full fledged portal complete in all aspects. Stories are something which would need volunteers to do their bit. Situation of Guides is very similar to Stories - lots of info can be added here. Crowdsourcing is the best bet - Google landed in trouble with Survey of India, so Genesys/WoNoBo would want to take due care before any such attempt. In addition such an attempt would need lot of publicity as not everyone would be aware of WoNoBo and its capabilities. WoNoBo's vehicle setup can be seen - I could make out that they are using Mahindra Scorpios. While exploring Hyderabad, I came across a Maroon and a grey Scorpio. WoNoBo must do something to avoid this - adjust camera height/angle or even fill the area based on surrounding images! The black patch is certainly not required. Imagery in my neighborhood was over a year old. This is not a big concern but it does matter sometimes. Also, the site claims that they will not have content more than six months old. Overall WoNoBo is a nice attempt. I could move around known areas in Hyderabad and areas were covered pretty well. Still, WoNoBo seems like a reinventing the wheel exercise. Global giants are already on work and have done great things w.r.t. street level mapping and 360-degree panoramic imaging. Hence, I somehow feel that there was no need for a third player for this kind of humongous attempt which needs a lot of investment.